A pollen grain lands on a stigma, swells with water, and sprouts a pollen tube, which races through the style to deliver sperm to the ovule below. When the pollen arises from the flower itself, this process often stops in its tracks. 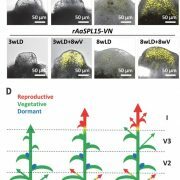 Self-incompatibility (SI) between pollen and pistil promotes outcrossing to generate the genetic variability that has helped make flowering plants so successful. The genetics of SI in Petunia inflata are quite complex, and the underlying mechanism is even more complex. 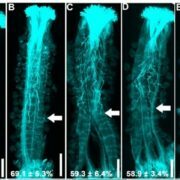 SI is regulated by the polymorphic S-locus; each S-haplotype houses a single pistil-specific S-RNase gene and a set of pollen-specific S-locus F-box (SLF) genes. The growing pollen tube takes up cytotoxic S-RNases from the pistil, but only S-RNases with an S-haplotype matching that of the pollen inhibit pollen tube growth. According to the collaborative non-self recognition model (Kubo et al., 2010), each SLF protein acts as an E3 ubiquitin ligase subunit to mediate the ubiquitination and degradation (detoxification) of its interacting non-self S-RNase(s). 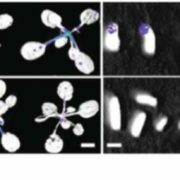 The collaborative activity of a complete suite of SLF proteins is required to detoxify all non-self S-RNases to allow for cross-compatible pollination and hence, outcrossing. This model explains the classic observation that SI breaks down in a tetraploid plant that produces diploid pollen carrying two different S-haplotypes (Stout and Chandler, 1941): SLFs from one S-haplotype detoxify their non-self S-RNases, including S-RNase of the other S-haplotype, resulting in the breakdown of SI. Several gain-of-function experiments have provided compelling evidence for this model. 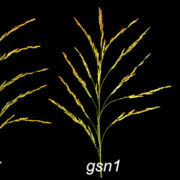 For example, transforming plants with a non-self SLF gene driven by a pollen-specific promoter led to the breakdown of SI, presumably due to self-S-RNase detoxification (Hua et al., 2007). However, the S2-locus of P. inflata harbors 17 SLF genes, making it difficult to confirm the role of each and every SLF in SI. Sun et al. (2018) took a big step forward in solidifying the collaborative non-self recognition model by specifically knocking out the function of S2–SLF1 (SLF1 of the S2-haplotype) in S2S3 plants through CRISPR/Cas9-mediated genome editing. They obtained two lines (#2/S2*S3 and #35/S2*S3) with frameshift mutations in this gene and carried out extensive genetic crosses to determine whether S2 pollen lacking a functional S2-SLF1 remained compatible with pistils carrying eight normally compatible S-haplotypes, that is, whether in the absence of S2-SLF1, S2 pollen could still detoxify any non-self S-RNases encoded by these eight S-haplotypes. Pollen from T0 #2/S2*S3 and #35/S2*S3 plants failed to fertilize wild-type S3S3 plants. 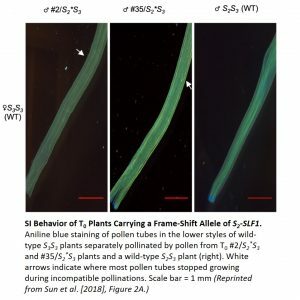 No fruits were set, and aniline blue staining of pollen tubes inside S3S3 pistils showed that few pollen tubes had progressed to the lower region of the style (see figure). Comprehensive genetic crosses yielded similar results, indicating that S2* pollen lacking a functional S2-SLF1 cannot detoxify S3-RNase, nor can any of the other 16 SLFs produced by S2 pollen. 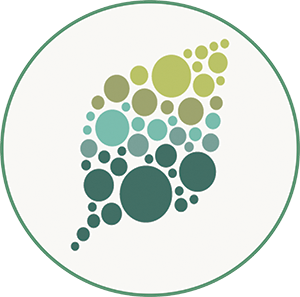 Therefore, S2-SLF1 is required to defend S2 pollen against S3-RNase, providing definitive evidence that SLF proteins are solely responsible for SI of pollen. The authors also examined the interactions between the 17 S2-haplotype SLF proteins and nine S-RNases through gain-of-function experiments. 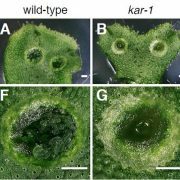 This analysis brought the number of interactions identified by such experiments to 108 and emphasized the complexity of this system, so crucial for plant evolution. Hua, Z., Meng, X., and Kao, T.-h. (2007). Comparison of Petunia inflata S-Locus F-box protein (PiSLF) with PiSLF-like proteins reveals its unique function in S-RNase based self-incompatibility. Plant Cell 19: 3593–3609. Kubo, K., Entani, T., Takara, A., Wang, N., Fields, A.M., Hua, Z.H., Toyoda, M., Kawashima, S., Ando, T., Isogai, A., Kao, T.-h., and Takayama, S. (2010). Collaborative non-self recognition system in S-RNase-based self-incompatibility. Science 330: 796–799. Stout, A.B. and Chandler, C. (1941). 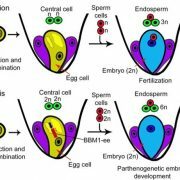 Change from self-incompatibility to self-compatibility accompanying change from diploidy to tetraploidy. Science 94: 118. Sun, L., Williams, J.S., Li, S., Wu, L., Khatri, W.A., Stone, P.G, Keebaugh, M.D., and Kao, T.-h. (2018). S-Locus F-Box proteins are solely responsible for S-RNase-based self-incompatibility of Petunia pollen. Plant Cell 30: 10.1105/tpc.18.00615.